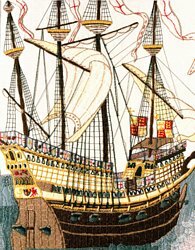 Though we are not acquainted with all the particular ships that formed the navy of Henry VIII., we know that among them were two very large ones, viz. the Regent, and the Henry Grace de Dieu. The former being burnt in 1512, in an engagement with the French, occasioned Henry to build the latter. 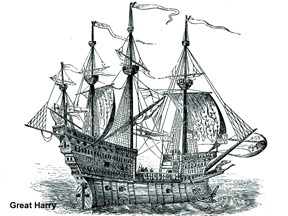 Willet: Naval Architecture, xi. 158.